Last year our Macmillan nurses supported more than 650,000 people. But with someone in the UK being diagnosed with cancer every two minutes, this isn’t enough. Please select if you are donating a sum of money that has been raised from a fundraising event or collection that you've held. 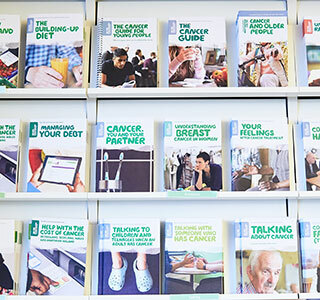 Your donation of £10 a month could keep five Macmillan information and support centres stocked with all the information booklets, guides, directories and leaflets needed to support people affected by cancer for 12 hours. £19 could make a real difference. £28 could make a real difference. It could pay for a Macmillan nurse for an hour, helping people living with cancer and their families receive essential medical, practical and emotional support. £70 would make such a difference. £19 could help us make a difference. 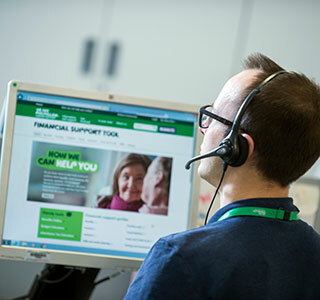 £19 could pay for a Macmillan benefits adviser to work in a Citizens Advice Bureau for an hour, when they would advise people with cancer, their families and carers so they can access benefits and other kinds of financial support they are entitled to. £70 could make a huge difference. £130 would make such a difference. 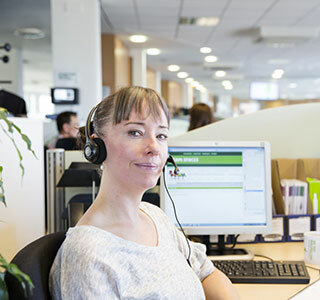 £130 could fund a Macmillan cancer information and support officer for a day. More people would have someone there for them to answer questions and talk to about their concerns. Is this donation in memory of someone? ? Is this donation in celebration of a special occasion? ? Is this donation on behalf of a company, group or association? ? Your donation of £ will be increased to £ with Gift Aid with no extra cost to you. I am a UK taxpayer and I would like Macmillan Cancer Support to treat this donation and any donations I make in the future and have made in the past 4 years as Gift Aid donations, until I notify you otherwise. I understand that if I pay less Income Tax and / or Capital Gains Tax than the amount of Gift Aid claimed on all my donations in that tax year it is my responsibility to pay any difference. I understand that Macmillan Cancer Support will reclaim 25p of tax on every £1 that I give. Gift Aid is reclaimed by Macmillan Cancer Support from the tax I pay for the current tax year. Please let us know if your tax circumstances or name and address details change so we can amend our records. To pay a gift left in a will, please visit our dedicated page. You can read our fundraising promise to you on the Fundraising Standards page. Having trouble? Call us on 0300 1000 200.